The Raspberry Pi is argualby the most popular single-board computer (SBC) on the market. However, the SBC space is ripe with a plethora of Raspberry Pi alternatives. Notably, the Odroid XU4, ASUS Tinker Board, and Libre Computer ROC Renegade are superb Raspberry Pi competitors. 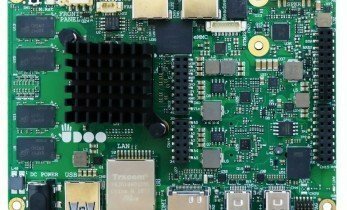 The UDOO x86 is a powerful single-board computer which boasts tons of uses. Check out the top six best UDOO projects!